This work imagines female artist and innovator Frida Kahlo as street art in an industrial landscape. By portraying a female artist on the side of semi in a blue collar neighborhood, it associates her body of artwork with legitimate working class labour. 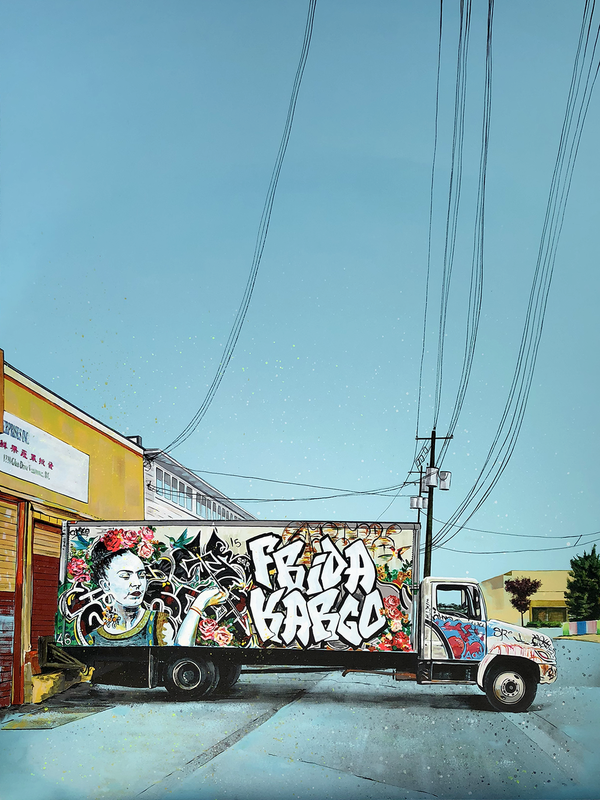 Frida's art and life personified the struggle for self determination in women's lives, and imagining her face on the side of a semi truck pays tribute to the contributions she made to the world at large. Stay tuned for more of this Art on Wheels series!